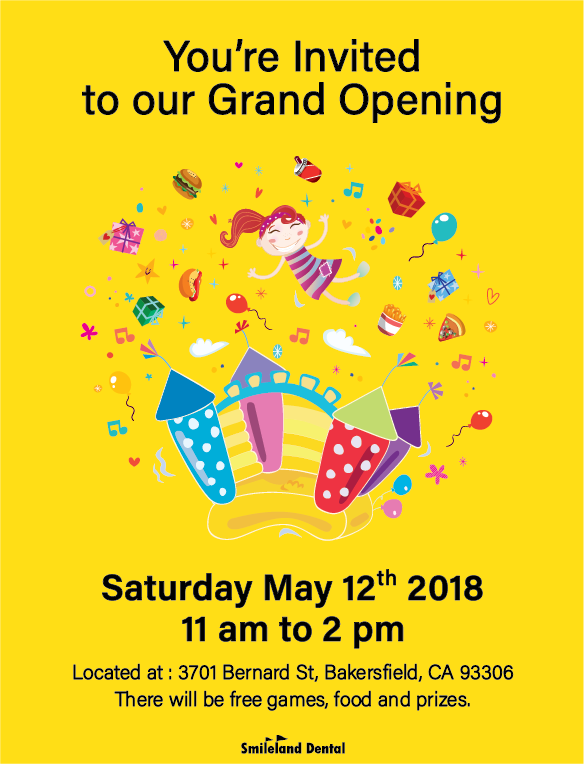 Smileland Dental is having a grand opening for our new dental office at 3701 Bernard St, Bakersfield California. Please join us on May 12th for free food prizes and games. We look forward to seeing you soon!